Clean Feet + Cold Water is an outreach ministry of All Saints' set against the backdrop of Maundy Thursday. On Maundy Thursday, Christians throughout the world commemorate the institution of the Lord’s Supper. 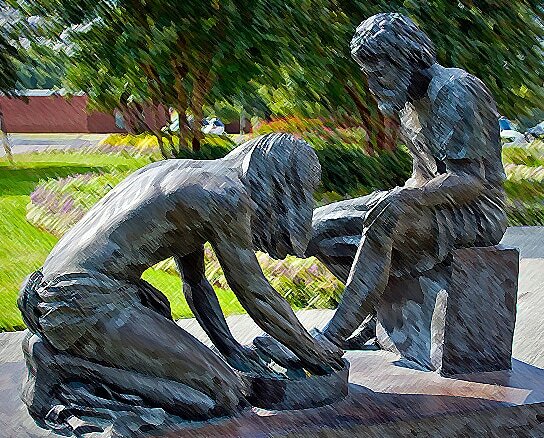 Also, many Churches live out Jesus' call to wash another's feet (John 13:14b-15). Clean Feet + Cold Water seeks to bring the ministry of foot-washing to the community (similar to our Ashes to Go Ministry on Ash Wednesday). We will gather at noon along the Kapa'a Bike Path at the end of Niu St (behind the soccer field next to the Library). We will offer to anyone passing by the opportunity to have their feet washed. Also, following another teaching of Jesus (Matthew 10:42), we will distribute cold bottles of water to anyone passing by. 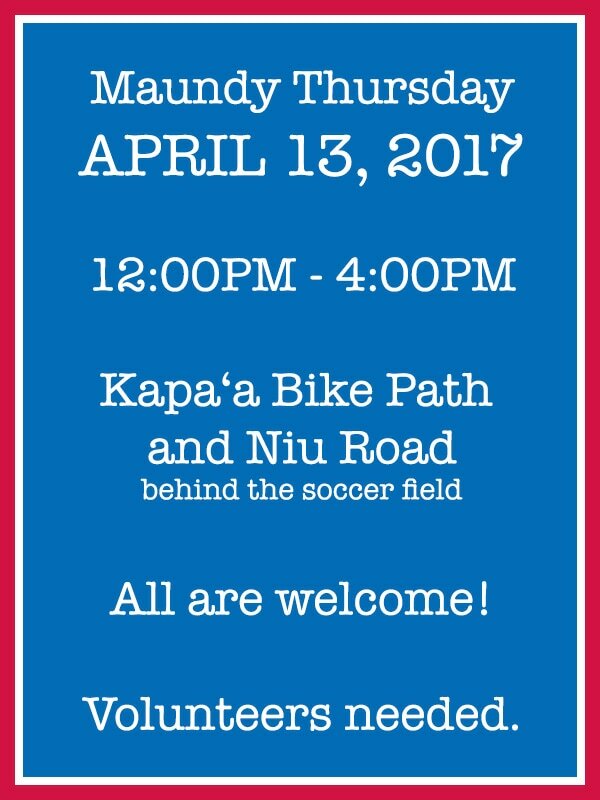 ​The inaugural Clean Feet + Cold Water will be Thursday, April 13, 2017 from 12:00PM to 4:00PM along the Kapa'a Bike Path at Niu Road (behind the soccer field next to the Kapa'a Library). Foot-washers: These individuals will wash and dry the feet of patrons and are encouraged to talk story with the people they are serving. Setup and Breakdown: Assist with moving supplies and materials to and from All Saints'.